The idea of “Roughing it in the bush” has changed a lot lately. Camping used to mean pitching a tent and getting out the Coleman. Now we are being offered a plethora of modern conveniences and the exotic luxury of a fully-equipped yurt. Resurrecting an idea that dates back to Genghis Khan and nomadic Mongolian horse herders, Canada’s national and provincial parks have been offering much more choice in accommodations of late. Many of our parks have installed yurts – tent-like structures mounted on a wooden deck floor. A yurt can be used year round. Most have electric heat and allow for winter camping without having to pack in all the four-season gear and equipment. While they are similar to tents, yurts are much stronger and offer better shelter from the weather. They are also very luxurious, offering many of the comforts of home in some of the most beautiful outdoor settings in Canada. The newfangled options for camping in Canadian parks are referred to collectively by insiders as “roofed accommodation”. The expression seems a tad redundant. I figure all good accommodation should be “roofed”, but when used to describe the dwelling we sleep in during a visit to a park, it also means other non-tent billeting options such as teepees, wall tents, cabins and residential hybrids like the “oTENTik”. Traditional yurts were built with a light wooden frame covered with felt made from sheep’s wool. They were designed to be dismantled and carried compactly on camels or yaks to be assembled elsewhere. The yurts in Canadian parks today conform to modern building and safety codes and are rarely transported on either camels or yaks. Yurts in Canadian parks are very popular, so if you are planning to stay in one you should book early. Usually you have to bring your own bedding, cookware and dishes. Parks Canada currently has yurts available in at least three of its locations across Canada – Riding Mountain National Park in Manitoba, Bruce Peninsula National Park in Ontario and Fundy National Park in New Brunswick. Ontario Parks has probably the largest selection of roofed accommodation in the country, including yurts, historic ranger cabins, cottages and farmhouses. 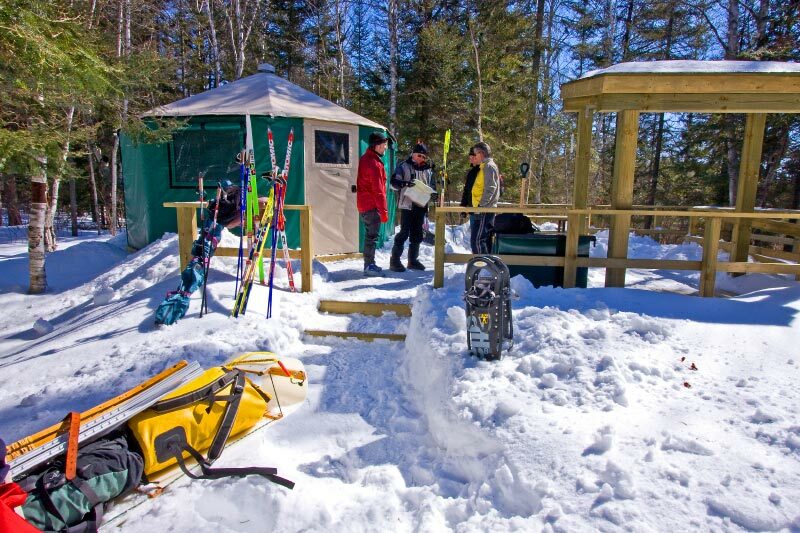 New deluxe cabins are being added regularly and can be booked online with the Ontario Parks reservation system. BC Parks currently have yurts available in at least three parks – Ellison, Fintry and Wells Gray Provincial Parks. Alberta Parks has many “Comfort Camping” options. Provincial parks in Saskatchewan do not have yurts (yet) but Prince Albert National Park does, as well as the nearby Nesslin Lake Campground. Manitoba Provincial Parks yurts locations are listed on the Manitoba website. Parcs Québec has at least 32 yurts in various locations. 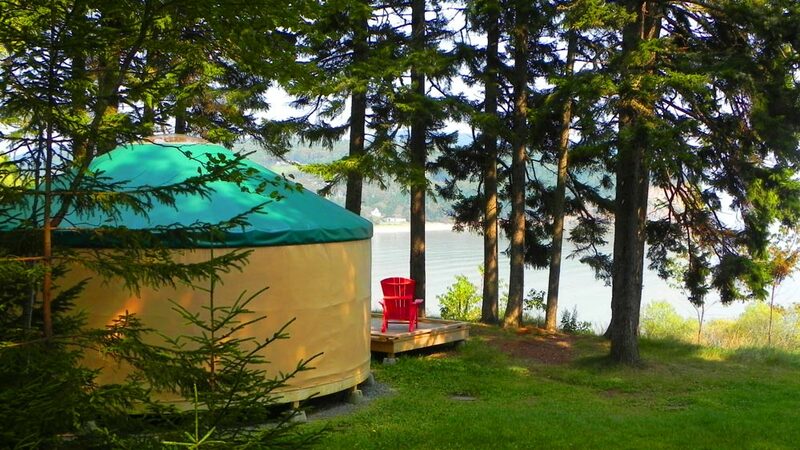 In the Nova Scotia Provincial Parks system, yurts can be reserved at Whycocomagh Provincial Park. You won’t find many yurts in this list of provincial parks on Prince Edward Island. It’s a little more rustic in Yukon Territory. None of the territorial parks have electricity and the move to yurts has yet to achieve much traction. Northwest Territories Parks are Naturally Spectacular but do not yet offer the yurt form of roofed accommodation. Yurts By Design is a company that can set you up with a yurt that remains at 22C (72F) inside while it’s -42C (-49F) outside. Talk about Cabin Fever. Nunavut Parks has a list of Territorial Parks in Nunavut. There are no signs of yurts (possibly due to the presence of polar bears) but their website is available in both Inuinnaqtun and Inuktitut, two of Nunavut’s official languages. 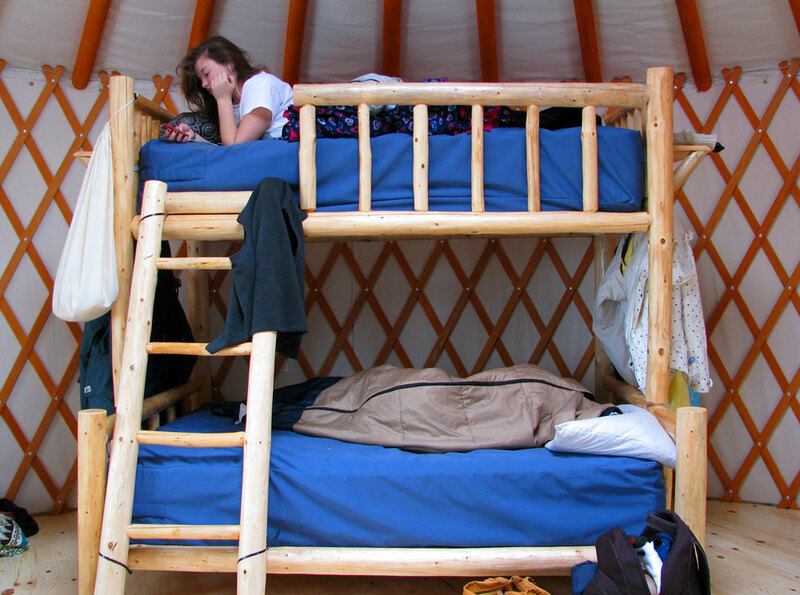 Yurts are becoming more popular in Canadian parks. They are often refered to as “Roofed Accommodation”. Interesting. Would love to get her take on living in one.